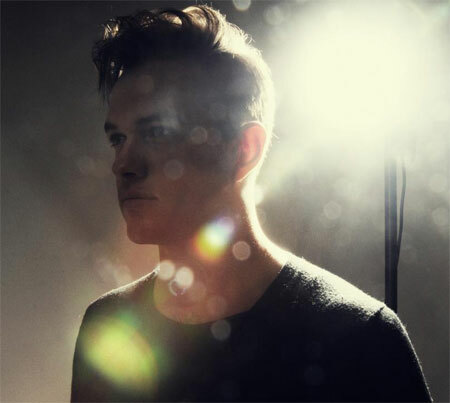 Jean-Philip Grobler rejects the idea that he is a synth-pop artist, citing his equal use of electronic and non-electronic instrumentation to support the claim. 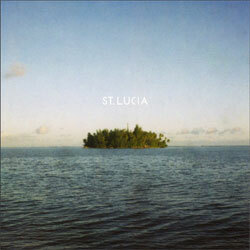 There are prominent piano chords, wandering guitar riffs and the odd sax solo littered throughout his sound, but with programmed beats providing the heartbeat and earthly synths bringing the soul, the South African – who releases music under the moniker St Lucia – does create instrumentals of great electronic beauty. The comparisons to Temper Trap and Empire of the Sun are appropriate, but to my ear, Peter Gabriel is the most fitting comparison. A wonderful thing, I’m sure you’ll agree. When did you first start making music and how did you end up gravitating towards your synth pop style? I started making music when I was about 11 or 12 years old and went through a whole bunch of different genres before I got to what I'm doing now. When I first started [making music], I was really into Boyz II Men, Michael Jackson, Sting and Phil Collins. I was making these pop songs, I suppose in a sense similar to what I'm doing now, and at all times I had about three albums planned out that never came to fruition because, well, I was at school. I then went through about 10 years of being really into rock and alternative music and wanting to make really big and bombastic, but still considered and somewhat cerebral, rock songs. I then got bored with that and, I suppose, rediscovered my roots which was in the eighties and making pop songs and my style and way of doing things changed a bit. I also find it somewhat funny that people call what I'm doing synth pop because, if you listen to what's in there there's probably an equal amount of electronic and non-electronic instruments. So, I like to think of what I do as a sort of amalgamation of various things, and not strictly synth pop. The bio on your BandPage profile cites Temper Trap and Empire of the Sun as touchstones of your sound. Those guys are actually quite contemporary. Were there artists you particularly admired that influenced your sound? I ask because I think I can hear quite a bit of Peter Gabriel in there. Am I right? There is definitely a Peter Gabriel influence, but I wouldn't say there's one artist that influenced me above all others. I really admire or gravitate towards artists that have a very strong artistic vision, and that aren't afraid of being pop, or don't see pop as some kind of sub or lesser musical genre. I think there's a very interesting middle-ground between being poppy and being ‘experimental’, and that's the ground that I think people like Kate Bush, Peter Gabriel, Fleetwood Mac, Prince and artists like that occupy. Tell me about your EP the recording, its themes, what you intended it to achieve? The EP took about two years to make. That seems like a long time, and it is, but I was experimenting with a lot of different sounds and ideas and, like I said earlier, more or less changing my entire approach to making music. I pretty much recorded the whole thing myself, apart from drums and a few bits and pieces here and there. There's probably about 40 or even 50 songs that came out of that process, and I would just sort of develop every song in parallel, and then as it neared completion it just seemed like these six songs are the ones that fit together best. In terms of its themes, I only realized after finishing the EP that there’s a very strong theme of losing something, or the fear of losing something, but then also of gaining something in the end. I think that that correlates a lot with what I was going through in my life at the time. Pretty much all of my lyrics are written ‘train of thought style’, and so it's very interesting to me when you do something completely unconsciously but then very specific themes emerge. All I can hope really for what the EP achieves is that it gives people a similar feeling that I get when I listen to my favorite music, or the music that inspired the EP. I liked the EP's desert island cover. What is your own all time desert island album? The album that's stuck with me the longest is Radiohead's OK Computer, but I'm not sure if that's the best music to have on an island. For an island, I'd probably choose Fleetwood Mac's Greatest Hits. Your music often has flourishes that aren't common in synth-pop. I'm thinking about the sax solo in 'All Eyes on You'. What is your process when it comes to outlining your arrangements? Again, it's a very subconscious process. I pretty much develop everything at the same time, the ‘song’ part, the arrangement, the lyrics, the production and sounds. I'll often start by building a rhythm section and a general groove and then just starting adding layer upon layer on top of that. A lot of the songs on the EP went through more than one version before I got to the final version. I think I have about five different versions of ‘We Got it Wrong’. I like to just keep trying things until it feels right to me, and sometimes that has to do with seeing which version of the song works best in the context of the whole, so it might only come together very close to the end of the process. Also, I'm a sucker for Saxophone solos.
" I really admire or gravitate towards artists that have a very strong artistic vision, and that aren't afraid of being pop, or don't see pop as some kind of sub or lesser musical genre. "